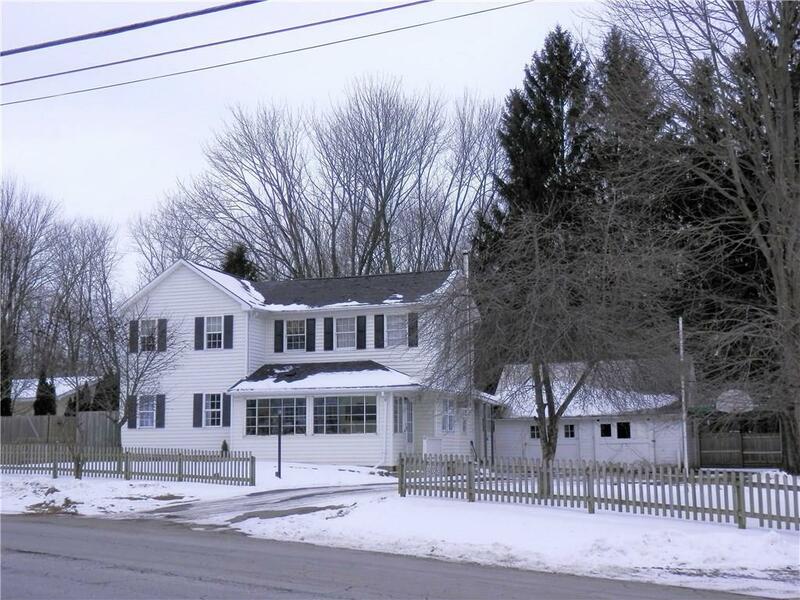 42 W Wright Avenue, Waterloo, NY.| MLS# R1170726 | Coldwell Banker Finger Lakes | 315-789-6768 | Geneva NY Homes for Sale, FINGER LAKES PROPERTIES, Seneca Lake, Cayuga Lake, All of the Finger Lakes. Spacious family home with 3-4 bedrooms and 2 full baths. Eat-in kitchen, living room with wood stove, hide away office, first floor laundry & bonus room that could be 4th bedroom. Upstairs there are 3 bedrooms and a full bath. Enjoy front and side enclosed porches. Detached 2 car garage has full walk up stairway to second floor storage & access to upper deck above the carport. Fully fenced yard great for children & pets with second deck. Vinyl sided & most vinyl replacement windows. Home offers wonderful potential with a little TLC. Being sold in "as is" condition. Conveniently located within walking distance to schools, church and downtown district. Swing-set to convey. Directions To Property: From Village Of Waterloo, North On Virginia Street, Left On W Wright Avenue.